Numerology Compatibility: Life Path 1 - Who Is Your Best Match? 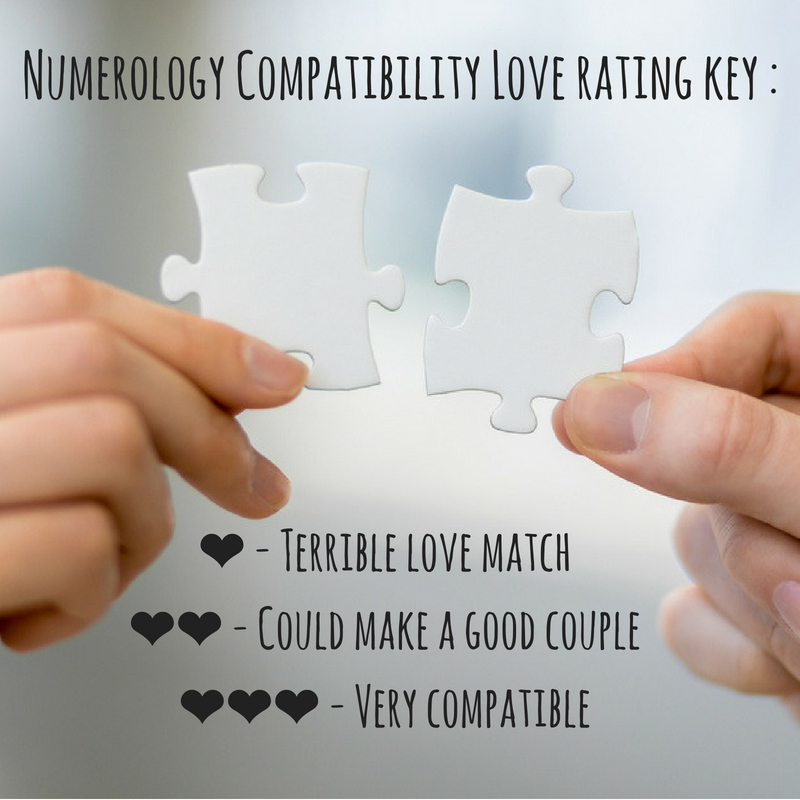 Numerology relationship compatibility has always existed and is one of the best methods of finding out if you and your partner are really compatible in love. If you are life path 1, we hate to break it to you but you aren't compatible with everyone... People belonging to life path 1 are most compatible with a people of life path 3, 5, or 9. Test the sturdiness of your relationship with our numerology compatibility test. A person with Life Path number 1 is persistent, hardworking with an immensely strong aura and energy. They have a strong desire to be the best, which they can get a little too competitive for some people’s tastes. Their determination and motivation mean they won’t let anything stop them from accomplishing their zodiac goals. Ones are very critical of themselves and of others; they also don’t stand for laziness or excuses. People belonging to life path 1 are ambitious, successful, strong leaders, determined and cheerful. Narrow-mindedness, arrogance, controlling and domineering. Discover your love rating love and who you are most horoscope compatible with, life path 1. Who is the best match for you? This is a conflict of personalities where each person wants to be in the driver's seat, which will cause lots of drama between them. There will be a lot of tension between life path 1 people, and their only thing in common is their self-centered and me, me me attitude. Although their intellectual relationship may help them build a strong relationship. This pair could get on well if each partner respects their role and function in the relationship. Life path 1 is obviously the dominant partner and life path 2 will be the follower. A real balance needs to be established in order to a healthy relationship to emerge. The balance could be achieved through conversation and intellectual exchanges. The ideal relationship! The brilliant effects of life path 1 and the charm and intelligence of life path 3 will blend together just perfectly. There’s a lot of reciprocal inspiration in this partnership. A delicate relationship that requires understanding from both sides. Life path 1 will feel restrained by the slow speed and rigor of life path 4. Some tensions could even appear due to your different views and outlooks on life. Personal growth is guaranteed for both partners in this relationship thanks to the energy of life path 5 since they’re always moving, though at times a little fickle. People love life path 5's pleasant imagination. It has to be said that this pair have a lot of common goals. You make a good couple, especially if 1 listens to 6, who has a sense of duty, commitment, and harmony and who’s full of good advice. However, this relationship can sometimes be cumbersome on your emotions. This is an interesting relationship that’s more intellectual than emotional, especially if 1’s energy encourages 7’s inner strength to help tap into 7’s reason and wisdom. In this relationship, both partner's egos could clash and eventually wear each other down. Although there is a slight chance that this pair could get on like a house on fire if they find financial stability. Patience isn’t your forte but you both need to be tolerant in order for things to work out. This pair aren't people you would instantly put together at first but opposites do in fact attract. 1 often has the impression that the world revolves around them, but with the help of 9 they’ll open up to other people and learn to understand other people's points of view. Life path 9 is full of generosity and humanism.